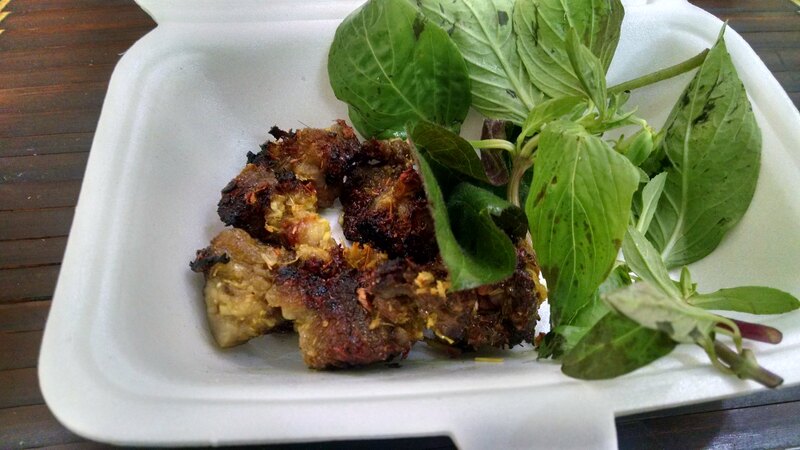 If you read our last post you know that I scarfed down a crispy tarantula on the streets of Siem Reap in Cambodia. And if you’re thinking that the thing tarantulas and dog have in common is that I ate them both …well…you’re right. You see, the tarantula thing was a spur-of-the-moment-I-am-kicking-a-nice-little-buzz and “omg – look at that, tarantulas!” type situation. I ate that little bugger and felt pretty good about my decision. It didn’t taste good at all but I did it. I have always watched shows on Bravo or Food Network or something of these hosts eating some really strange things and wondered “what does that taste like..?” Now I know. I have no intention of eating more spiders. One – or really just the top half of one – is plenty. 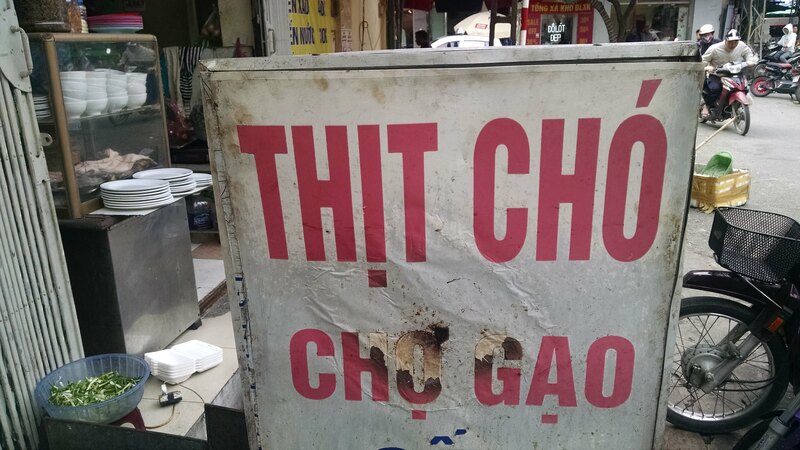 But then I found myself on a food tour in Hanoi. I was asking our tour guide if the locals eat dog. She confirmed they did, quite often actually – and that you could buy it on the street no problem. That wasn’t the case in Cambodia. In fact our cab driver once offered to arrange a sit down where we could eat dog and cobra but it seemed very, very shady. We passed. But it intrigued me. Now, supposedly, I would have an opportunity to give it a shot in a much more open and welcoming environment. I’m kidding. You don’t need to keep a close eye on ole Fido, but I did have some dog and …got to say, I did think that it was quite delicious. Really tough and fatty (thick…SUPER thick skin that I wasn’t a fan of). 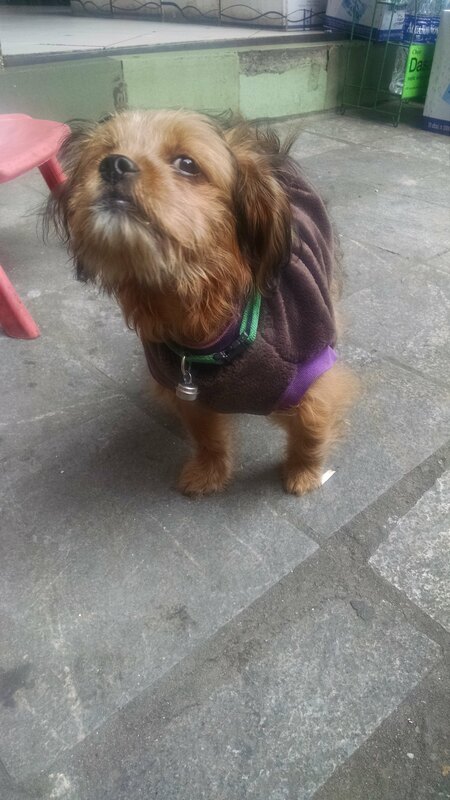 No one else in our group of 6 on the food tour had any interest in trying dog. (note: Lindsay did try a small piece, but wasn’t thrilled about it) Maybe they had one, I don’t know – but I was surprised – I thought for sure someone else would join me. I had no idea what to expect when I asked to try some dog. I think that the food tour guide thought I was kidding at first. Then she left the restaurant we were at and came back with a to-go styrofoam box. The (dog) meat was presented quite nicely for costing less than $1 from a street vendor. I only had a few pieces, Lindsay had a piece. I can’t quite explain what it tastes like. But I am little sad to say that it was really good. Nothing I want a whole steak of or anything, but it didn’t taste bad at all. Yes in Vietnam people do eat dogs. And guess what? They eat cats as well. I’m a local Vietnamese but I’ve never tried dogs or cats in my life. I love them! All of my friends say I’m stupid as I don’t eat that delicacy. Believe me I’ve got too many other choices. In some way I’m against eating dogs and cats as it encourages pet thieves. I’ve lost a few cats and one dog and I think I could kill the thief who stole ( and eat ) my children. It was brave of you to try it. Thanks for sharing!